Auditions are officially open for the 2018 Summer Festival! We are very excited to announce our new 2018 Summer Festival auditions. Young singers from all over the world will have the chance to work with some of the top opera professionals in New York City and develop their careers. Visit the auditions section for more information and to apply. We are very excited to welcome Andres Rodriguez-Spoerer from the Fundacion Ibañez-Atkinson. He is going to be part of our juries and will offer career advice in masterclasses and one on one sessions to our singers, starting in the 2017 Summer Festival. His collaboration with MOS is another milestone in the strategic alliance with our friends from the Fundacion Ibañez-Atkinson. AUDITIONS FOR THE 2017 SUMMER FESTIVAL ARE OVER AND NOW WE ARE WORKING IN THE CASTING PROCESS FOR OUR UPCOMING PRODUCTIONS. FOLLOW US ON FACEBOOK FOR THE LATEST NEWS AND TO FIND MORE INFORMATION ABOUT UPCOMING AUDITIONS! MOS Summer Festival goes to Carnegie Hall! We have fantastic news. We just signed an agreement with Carnegie Hall and all of our young artists accepted to the 2017 Summer Festival will have the unique opportunity of performing in this legendary venue. MOS AUDITION SEASON IS HERE! We are now receiving applications to audition for the 2017 Summer Festival. We are happy to announce that this season we will have new performance venues with an improved orchestra pit and we will be adding another manager to our faculty increasing the chances of our young singers to develop their professional careers. Good luck in your audition! The Paris Opera Competition will be holding auditions for the Mozart Awards 2017. 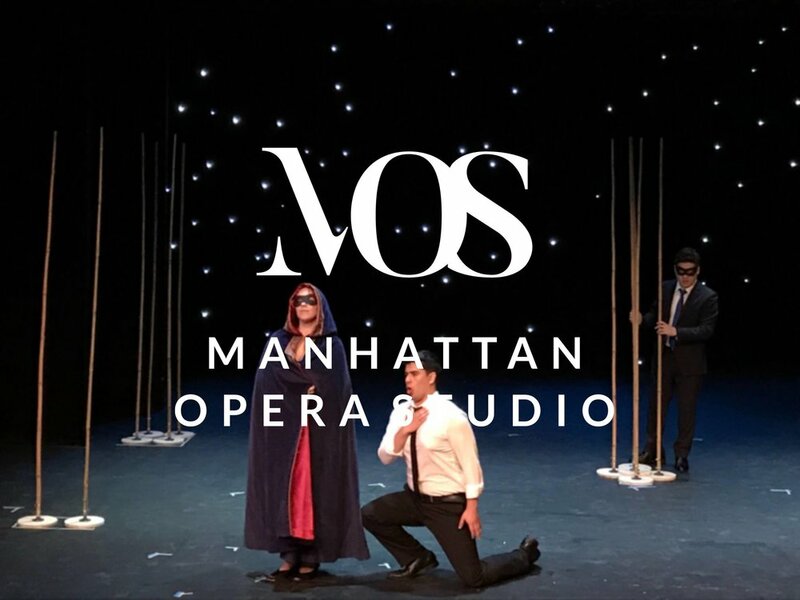 The Manhattan Opera Studio in association with the POC will be organizing the American qualification round in New York City. Auditions will take place at The National Opera Center on March 5th and 6th 2016. The winners of this round will go to the finals that will take place on January 2017 at the Theatre des Champs Elysees in Paris. Finalists will receive airfare and stipend for their expenses in France. The objective of the Mozart Awards is to help young talented singers develop their careers through monetary prizes while exposing them to managers and directors of some of the most prestigious theaters in the world. Winners of the 2017 edition will receive more than 10,000 euros in prizes and participate in concerts in some of the most prestigious theaters of Europe. In order to apply for the New York auditions, candidates must send an email to auditions@mozartawards.org with at least two recordings (mp3 or Soundcloud link) or video recordings (YouTube or other similar platform) of contrasting arias, a copy of your resume, a headshot and submit the $32 dollars application fee. Candidates that want to be considered for the special French prize should send an additional recording with an aria sung in the French language. We would like to clarify that Mozart Awards is the name of the competition, and singers can present arias by any other composer of the standard opera repertoire from the 18th century until contemporary period. The age limit is 34 years old by January 2017. Check out this amazing opportunity to sing for one of the world's greatest singers!! Metropolitan Opera Superstar Bass, Dimitris Kavrakos, will be giving a masterclass focusing on the Italian Operatic repertoire, in collaboration with the Manhattan Opera Studio, on the 17th of May 2015 at the National Opera Center. Mr. Kavrakos is one of opera’s most sought after basses. He appears regularly on the stages of the Metropolitan Opera, Lyric Opera of Chicago, Royal Opera Covent Garden, the Paris Opera, La Scala Milan, Teatro Comunale in Florence, Teatro dell’Opera in Rome, Bologna, Bordeaux, Marseilles, Genova, and Cologne. He has appeared in leading roles in prominent European festivals, including those of Salzburg, Bregenz, Aix-En-Provence, and Glyndebourne. His roles include Nabucco in the title role, Ramfis in Aida, Attila in the title role, Fillipo in Don Carlo, Silva in Ernani, Il Commendatore in Don Giovanni, Sarastro in The Magic Flute, Bartolo in The Marriage of Figaro and many more. Currently Mr. Kavrakos is casting director in the National Opera of Greece and dedicates his time to young singers, helping them discover the Bel Canto technique, which he believes is the essence of proper singing. For those who are interested please email 2 audio/DVD recordings of atleast one Italian aria, a headshot and resume to coordinator@manhattanoperastudio.org . In the subject of the email please write "Masterclass". There is a non-refundable $15 application fee. This application fee guarantees a seat as an auditor even if not chosen as an active member in the masterclass. The cost for each accepted singer is $75.00. Each participating singer will be granted a Certificate of Participation at the end of the masterclass. The deadline for the application is May 13th. The MOS will choose the active participants for this masterclass based on their recordings. There are only seventy applications available for this masterclass.